The Continuum of Care analyzes local data and service provider data to learn about those experiencing homelessness in the community; identify the need for homeless programming; and, report on the collective impact the CoC has on meeting its goal to prevent and end homelessness. The purpose of the Point-in-Time Count (PIT) is to measure homelessness over the course of one night, every January. Although the PIT doesn't tell us everything about our community's needs, it does provide valuable information as to the scope of homelessness, particularly around the number of unsheltered people on the streets and the progress being made to end homelessness. 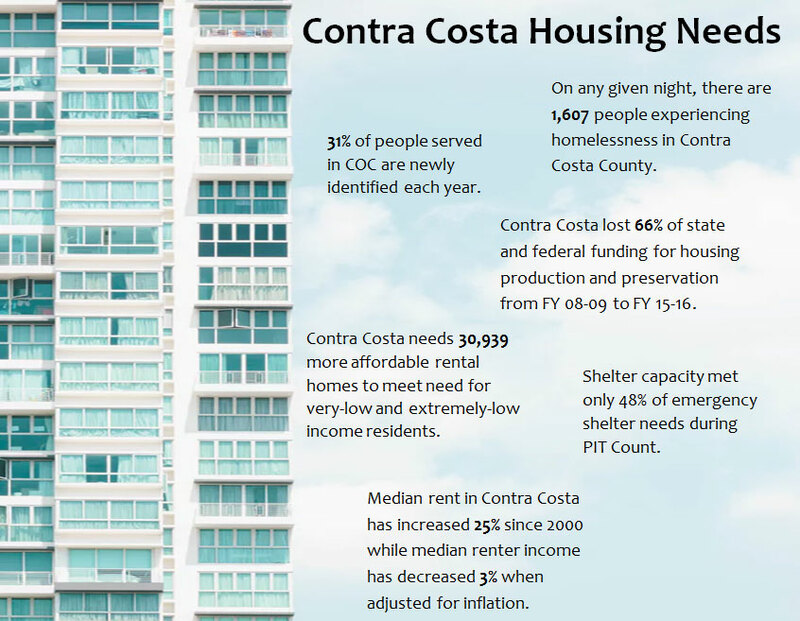 It is also used by local agencies to help plan services and programs appropriately, address strengths and gaps, increase public awareness, and attract resources to help end homelessness. The Council on Homelessness produces an annual report each fiscal year to link CoC-wide activities with outcomes. The 2017 Annual Report provides local data on the population served and the need for additional housing resources. The report also includes a look back on implementation of Coordinated Entry and related activities across the CoC.